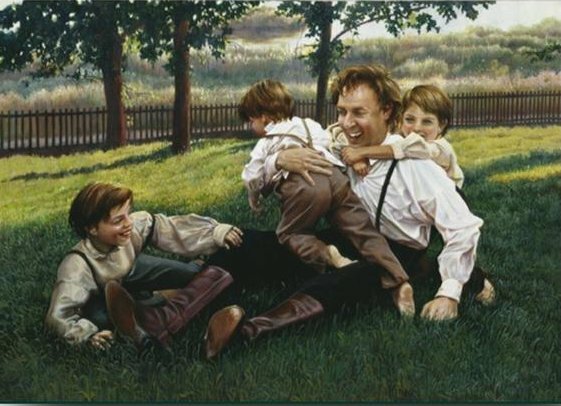 Who accused Joseph Smith of playing ball with the boys of Nauvoo? Thursday, October 23, 1856, Rocky Ridge, Willie Company, Jens Pederson Journal: When they were having such hard times with low rations and cold weather, one man decided he didn’t want to put up with any more so just said he wasn’t going another step. Different ones tried to talk to him and urge him to go on, but had no effect upon his decision. Grandpa, Jens O. Pederson asked for permission to talk to the man. Some told him it wouldn’t do any good, so they went on and grandpa tried to reason with him, but that did no good. Finally he said, “Well, if you are not going, I’m going to give you a whipping before I go on,” and he slapped him quite hard on the face, and started running to catch up with the company. It made the man angry and he started after grandpa and both of them caught up to the company. The man went on and later thanked grandpa for saving his life. Stewart E. Glazier and Robert S. Clark, Journey of the Trail (Salt Lake City: The Church of Jesus Christ of Latter-day Saints, 1997), 158.